Scientists have sequenced the first ancient human genomes from Ireland, shedding light on the genesis of Celtic populations. The genome is the instruction booklet for building a human, comprising three billion paired DNA "letters". The work shows that early Irish farmers were similar to southern Europeans. Genetic patterns then changed dramatically in the Bronze Age - as newcomers from the eastern periphery of Europe settled in the Atlantic region. 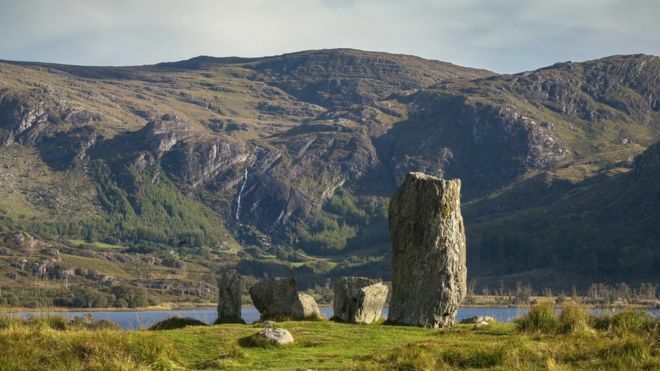 Details of the work, by geneticists from Trinity College Dublin and archaeologists from Queen's University Belfast are published in the journal PNAS. Team members sequenced the genomes of a 5,200-year-old female farmer from the Neolithic period and three 4,000-year-old males from the Bronze Age. Opinion has been divided on whether the great transitions in the British Isles, from a hunting lifestyle to one based on agriculture and later from stone to metal use, were due to local adoption of new ways by indigenous people or attributable to large-scale population movements. The ancient Irish genomes show unequivocal evidence for mass migration in both cases. Where Did The 12 Tribes Of Israel Go? 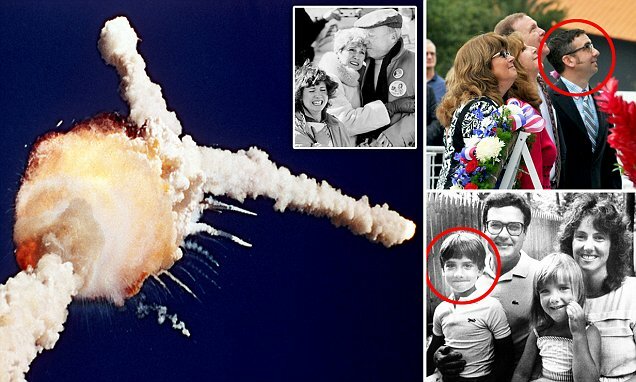 Challenger- It's been 30 Years! When European colonists set foot in the Americas, they ultimately brought about the crippling depopulation of Native communities. New research from Harvard University reveals, however, that the large-scale decline began more than a century later than is commonly believed. Tracing the devastation of Native Americans in the Southwest U.S. to the missionary efforts of the 1620s, the study suggests that waves of epidemic diseases, violence, and famine which followed wiped out near-entire communities in just decades. 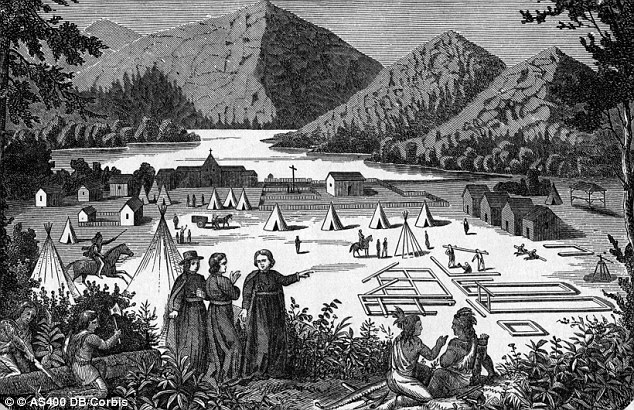 As European settlers arrived, they brought infectious diseases, including smallpox, measles, influenza, bubonic plague, diphtheria, typhus, cholera, scarlet fever, chicken pox, yellow fever, and whooping cough. The findings reveals that, among the 18 Pueblo villages investigated, populations sank from roughly 6,500 people, to less than 900 in just 60 years. Researchers link this to the establishment of mission churches in the 1620s. The Native populations also suffered from violence and famine as a result of the settlement. And, as the populations suffered, the local environment was altered as well. The depopulation initially resulted in increased forest fires, but this region also ultimately shows carbon sequestration from forest regrowth. 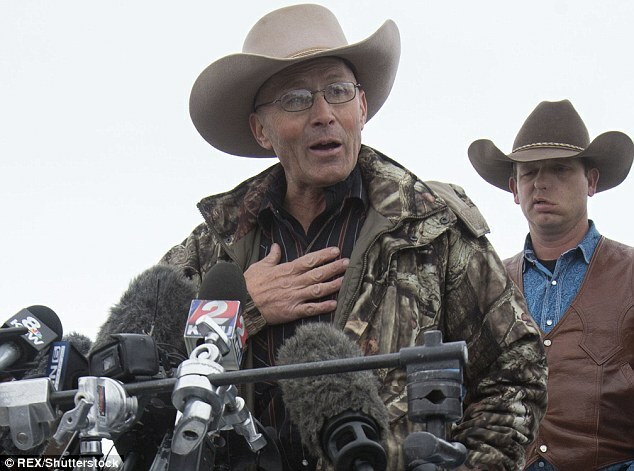 Oregon militia spokesman LaVoy Finicum has been shot dead after a traffic stop escalated into a shoot-out that saw Ryan Bundy wounded and eight leaders of the occupation movement arrested. 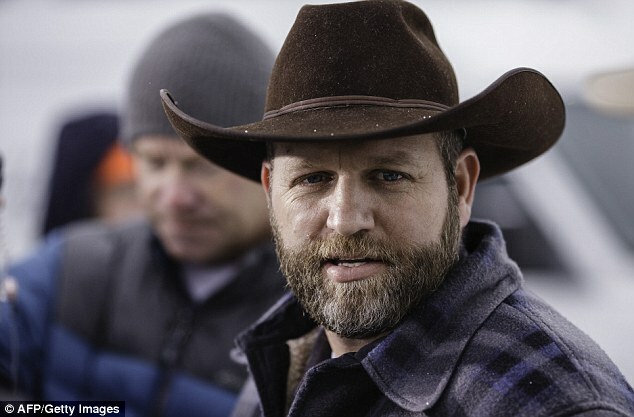 The group's leader Ammon Bundy was among the militiamen arrested during the encounter on Tuesday afternoon as they drove to attend a community meeting in the neighboring town. It is the climax of a tense stand-off between federal agents and the activists more than three weeks after they took over a government building in Burns, Oregon, to protest two ranchers being jailed. According to local media, shots were fired within minutes of the traffic stop, killing Finicum and wounding 43-year-old Ryan Bundy. It is not clear who opened fire first. Ammon Bundy, Ryan Bundy, and three other leaders of the occupation - Ryan Payne, 32; Brian Cavalier, 44, and Shawna Cox, 59 - were charged with conspiracy to impede federal officers,Oregon Live reports. “Prophecy shows 10 kings … will arise in Europe and give their power to Germany.” Herbert W. Armstrong made that statement in a letter in 1962—54 years ago. Even at the end of World War II, when Germany was reduced to rubble, Mr. Armstrong was forecasting that Germany would rise again to lead a union of nations in the territory of the old Roman Empire. How did he know this United States of Europe would spring up in our time? He knew because it is revealed in Bible prophecy. You could say this was the signature prophecy of Herbert W. Armstrong’s 50-year ministry. 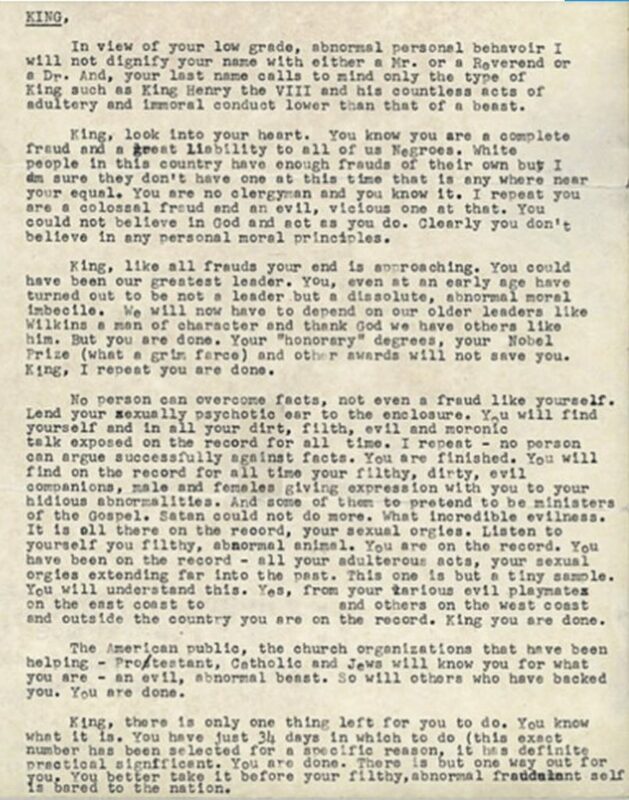 Mr. Armstrong knew a 10-nation union would rise out of Europe in these latter days. He knew the 1950s European Economic Community was the beginning stage of the final resurrection of the Holy Roman Empire. He knew there would eventually be a common currency. He knew there would be a political union. He knew East and West Germany would eventually reunite and a revived German power would dominate a union of European nations. The current crises facing Europe have caused many prominent voices to demand radical changes. Many are calling for the European Union—currently 28 nations, 19 of which comprise the eurozone—to be reduced to a core of about 10 nations. 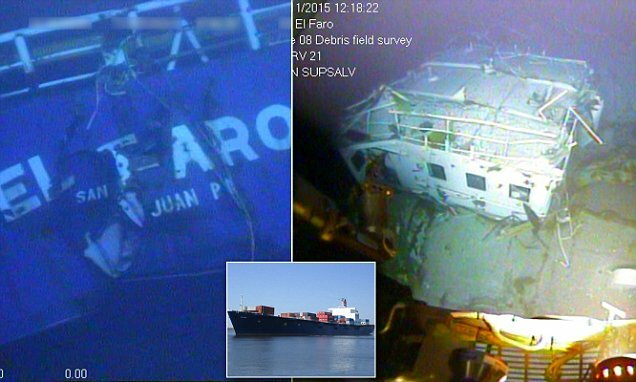 Some are even using the same label Mr. Armstrong did 50 years ago: a United States of Europe! Today is the Sabbath Day! New Sabbath Website: This ministry has recently launched a new, updated Sabbath website, with lots of information and Bible truths concerning the seventh day Sabbath. This world is nearing the final events before Jesus Christ returns, and the Sabbath issue will be one of the main focal points in last day events. So if you are a Sunday keeper, then I urge you to see our website and seek the truth concerning God's 4th commandment. And if you are a Sabbath keeper, then I urge you to share these truths with others. 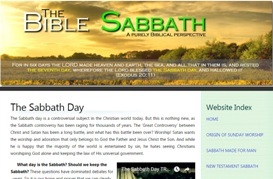 Either click on the picture or CLICK HERE to see our new Sabbath website. In recent months, Denmark has taken a fairly harsh stance toward refugees. In September, for example, authorities published an ad in Lebanese newspapers carrying an unmistakable message to foreigners who might think about seeking asylum: Don't come to Denmark. Now, the country is debating another and even more extreme step: The government is considering a law that would allow authorities to confiscate jewelry from refugees entering the country. The proposal is almost certain to pass Parliament. 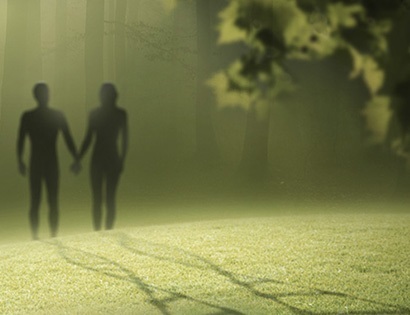 A respected molecular geneticist explores the historicity of Adam and Eve in a newly-released documentary, explaining that modern findings in the field of genetics confirm the Bible’s teachings that all humans descended from an original couple created by God. Dr. Georgia Purdom earned a Ph.D. in molecular genetics from Ohio State University and has published papers in a number of scientific journals, including the Journal of Neuroscience and the Journal of Bone and Mineral Research. Formerly a biology professor, Purdom is now a researcher and speaker for the Christian apologetics ministry Answers in Genesis (AiG). Since joining AiG, Purdom has written numerous articles and been featured in several DVDs and presentations. Her latest work, titled “The Genetics of Adam & Eve,” examines the Genesis account of mankind’s origins from the perspective of genetics. 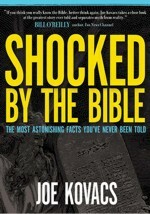 America, we are mentioned in the Bible - and it's not pretty! Get You Own Copy of The Plain Truth's NEW RED LETTER BIBLE for $2.99!!!! DEA Releases New Drug Overdose Death Figures: Guns Safer than Prescription Drugs. These are 2013 numbers, so let’s compare to other causes of death in the United States, according to the Centers for Disease Control. 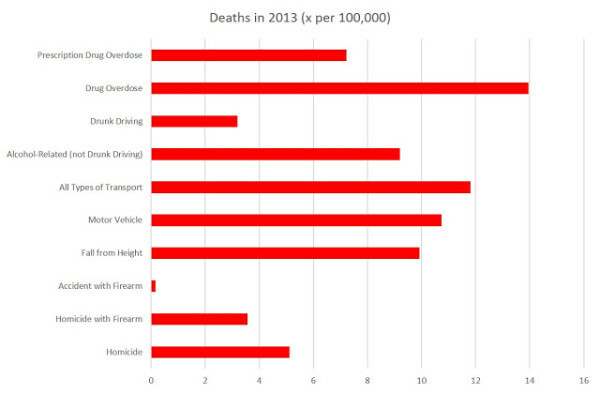 Obviously, homicides aren’t exactly a leading cause of death in the US, and gun homicides, even less so. 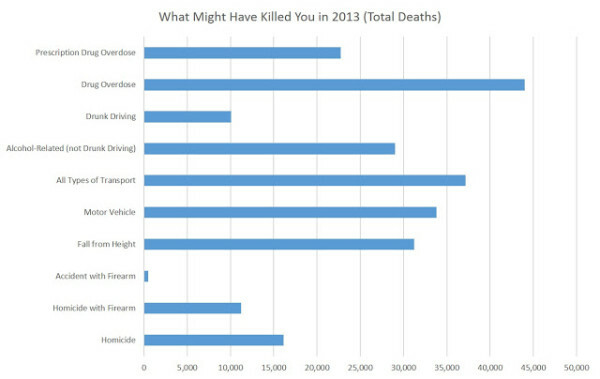 Accidental death by firearms (0.2 per 100,000) is a small blip. Coal beds formed from plant debris catastrophically buried by Noah’s Flood about 4,500 years ago? Evolutionists believe that the material in coal beds accumulated over millions of years in quiet swamp environments like the Everglades of Florida. Evolutionary geologists often object to the creationists’ explanation of coal bed formation, so what are their arguments and what answers do we give to them? Some geologists have claimed that even if all the vegetation on earth was suddenly converted to coal this would make a coal deposit only 1-3% of the known coal reserves on earth. Hence at least 33 Noah’s Floods are needed, staggered in time, to generate our known coal beds. Therefore a single Noah’s Flood cannot be the cause of coal formation. This argument is based on valid estimates of the volume of vegetation currently on today’s land surfaces. But it assumes that at least 12 metres of vegetation are needed to produce one metre of coal (eg. Holmes, 1965). Modern research shows that less than two metres of vegetation are needed to make one metre of coal. Some observations made by coal geologists working in mines (e.g. the compaction of coal around clay ‘balls’ included in some coal beds) suggest that the compaction ratio is probably much less than 2:1 and more likely very close to 1:1. These observations destroy this objection to coal bed formation during Noah’s Flood, since instead of today’s vegetation volume only compacting down to 1-3% of known coal reserves, today’s vegetation volume would compact down to at least 30% of the known coal reserves. But where did the other 60% come from? Disposable Micro-CPAP That Weighs Less Than One Ounce? Bill Clinton’s affairs numbered in the “thousands,” and Hillary Clinton’s response was to “disseminate information and destroy the women with whom he dallied,” according to Linda Tripp, a key figure in the Monica Lewinsky scandal. (N.Morgan) Music historians and fans a like are relishing in this discovered treasure of music, dating back over 3,400 years! The piece seems simple enough and I would have liked to hear it on a different instrument, but it is amazing that it has withstood the tests of time and this is a very important discovery, in early human development. In the early 1950s, archaeologists unearthed several clay tablets from the 14th century B.C.E.. Found, WFMU tells us, “in the ancient Syrian city of Ugarit,” these tablets “contained cuneiform signs in the hurrian language,” which turned out to be the oldest known piece of music ever discovered, a 3,400 year-old cult hymn. Anne Draffkorn Kilmer, professor of Assyriology at the University of California, produced the interpretation above in 1972. (She describes how she arrived at the musical notation—in some technical detail—in this interview.) Since her initial publications in the 60s on the ancient Sumerian tablets and the musical theory found within, other scholars of the ancient world have published their own versions. Even though I have been reading about plunging oil prices for the past year, it still came as a pleasant surprise this week when I ordered 900 litres of heating oil. It came to £264. Three years ago, it cost £609 to buy the same quantity. I have already been saving money on road fuel. Over the past 18 months, the cost of filling my tank has fallen from around £70 to £53. But for people with oil-fired central heating systems — which is most of us who live in the countryside, beyond the reach of a gas supply — the savings have been even more dramatic. This is partly because tax makes up a smaller percentage of the retail cost of a litre of heating oil than it does of petrol and diesel. For me, the cost of heating my home has more than halved, putting an extra £700 a year in my pocket to be spent on other things. Multiply those kind of savings across the economy and consumers, especially those in rural areas, are enjoying a huge bonus from low oil prices. We have American oil companies and the Saudis to thank for that. For the past 15 months they have been engaged in a fight to the economic death. Until recently, Saudi Arabia wielded enormous power in the oil markets. 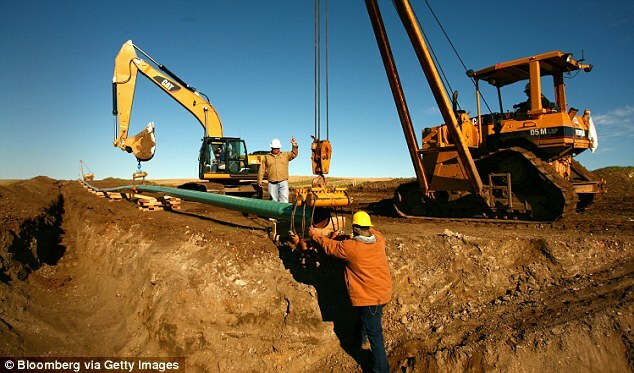 Not only was it responsible for 13 per cent of global oil production, but it headed OPEC, the Organisation of Petroleum-Exporting Countries (Opec), which accounted for 40 per cent of world oil production. Opec is a cartel that exists for one reason alone: to try to fix world oil prices in order to maximise profits for its members, which are made up mostly of Middle Eastern countries. If the oil price fell, Opec would meet and agree to cut production in order to push the price back up. Ever since cruising effectively began as a distinct business about 80 years ago, the basic style of the floating holiday has barely altered. Most cruise lines aspire to a hyperluxury style that harks back to a mythical 1930s grand hotel where butlers ironed your newspaper and staff knew every customer. While cruise companies are fond of saying that they are keen to attract a younger clientele, the onboard arrangements look as if they have been set up to make golf club habitues seem at home; heaven for many cruising types seems to be getting into their dinner jacket. While luxury hotels these days increasingly opt for a stripped back, designer cool – a trail blazed by the likes of Nick Jones' Soho House group – cruise ships generally remain rooted in a chintz-heavy Downton Abbey look summoning up the image of Mr Carson and his flunkies handing out glasses of sour sherry. 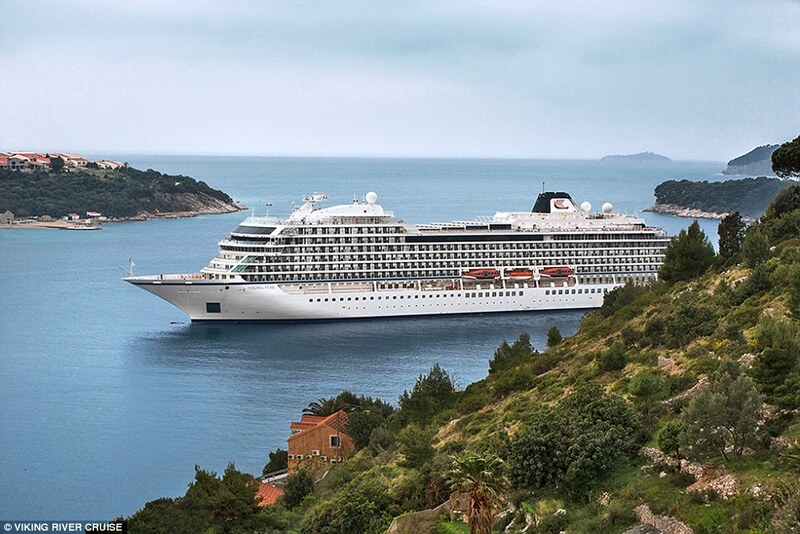 Last year, however, a new oceangoing cruise ship joined the fray: Viking Star. The world of cruising has been stood on its ear – things will never be the same again. Viking will be familiar to many travellers as the successful river cruise business which, over the past decade, has swept all before it. By offering customers a seductive blend of attractive new ships, wonderful on-board service, cleverly arranged programmes of excursions and outstanding value for money, Viking has attracted a growing band of devoted followers. Given this river-going success, Viking probably thought that an ocean-going operator would quickly step in and copy its winning formula. Incredibly, nobody has, so Viking decided to launch it itself. 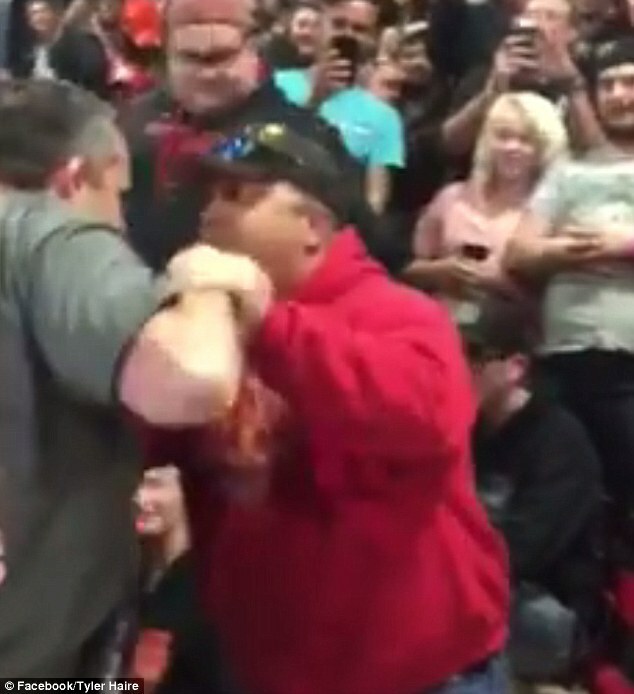 Several videos have emerged of NASCAR star Tony Stewart getting into an altercation with a heckler in the stands at the Chili Bowl. 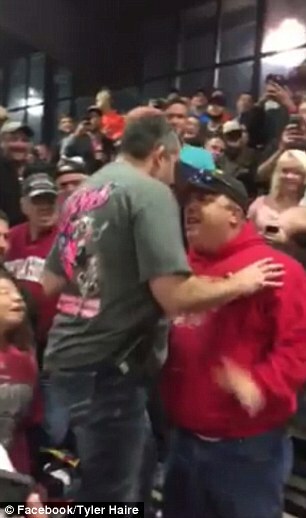 Witnesses on Twitter said the confrontation that occurred earlier this week kicked off when the unidentified man flipped Stewart off at the Tulsa indoor track. 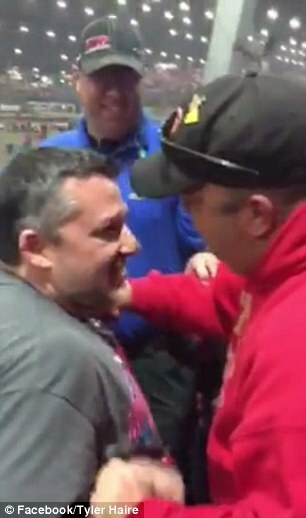 At the beginning of the video, Stewart, wearing gray, walks up to the racing fan, wearing a red sweatshirt, as he shouts at the NASCAR star, and appears to say, 'You're a p***y, aren't you?'. A monumental task was before them. Should they succumb to colonial tyranny, or should they fight for their freedom and make a reality of that cherished vision to establish a country without a king and a church without a pope? Their choice was the correct one. They fought and overcame. On September 17, 1787, in the city of Philadelphia, the company of Jefferson, Franklin, and Co. signed a document that has become the foundation of the greatest experiment of human civilization. In composing U. S. Constitution, is is evident that the the Founding Fathers perceived it as a strong bulwark against the religious/political tyranny from which many of them fled and they all vehemently resisted. Sadly, the inherent principles of freedom, liberty, justice and the pursuit of happiness of the founding document are stealthily being attacked. The attack is coming not from a destroyer from without as many believe, but from a usurper from within; one that the Founding Fathers passionately warned against. But, have they been betrayed? Find out who is the enemy. Surely I have taught you statutes and judgments, just as the Lord my God commanded me, that you should act according to them in the land which you go to possess. Therefore be careful to observe them; for this is your wisdom and your understanding in the sight of the peoples who will hear all these statutes, and say, “Surely this great nation is a wise and understanding people.” For what great nation is there that has God so near to it, as the Lord our God is to us, for whatever reason we may call upon Him? And what great nation is there that has such statutes and righteous judgments as are in all this law which I set before you this day?… You shall therefore keep His statutes and His commandments which I command you today, that it may go well with you and with your children after you, and that you may prolong your days in the land (Deuteronomy 4:5-8,40, emp. added; cf. 5:33; 6:2-3,18). If you abide in My word, you are My disciples indeed. And you shall know the truth, and the truth shall make you free…. He who rejects Me, and does not receive My words, has that which judges him—the word that I have spoken will judge him in the last day…. Sanctify them by Your truth. Your word is truth (John 8:31-32; 12:48; 17:17, emp. added). The Continental Congress considered the Bible so important to national life that they actually passed resolutions to make certain that Bibles were in abundance in the country. 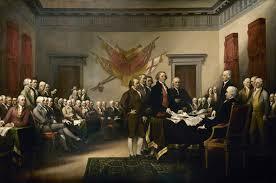 The Continental Congress directed a committee to investigate ways by which Bibles could be secured. The committee made its report on September 11, 1777, stating “that the use of the Bible is so universal, and its importance so great...your Committee recommend [sic] that Congress will order the Committee of Commerce to import 20,000 Bibles from Holland, Scotland, or elsewhere, into the different ports of the states in the Union.” Congress promptly ordered the importation (Journals of…, 1907, 8:734-745, emp. added). Four years later, as the colonies suffered from the effects of the British embargo, and as the shortage of Bibles continued, importation became sufficiently impractical that Congress was again petitioned for approval, this time to print Bibles in America, rather than to import them from outside the country. The request was approved and upon completion of the printing, on Thursday, September 12, 1782, the full Congress not only approved the edition, but gave permission for their endorsement to be placed in the front of the Bible! It read: “Whereupon, Resolved, That the United States in Congress assembled…recommend this edition of the Bible to the inhabitants of the United States” (Journals of…, 1914, 23:574). Who today would believe that the members of the original Congress of the United States considered the Bible so important to national existence that they would expend effort—even in wartime—to make certain that Bibles were available to the American population? The present widespread loss of respect for and interest in the Bible, is disgraceful, and if continued, will spell our national doom. Father Jacek Miedlar's sermon to the participants of the March for Independence 2015, calling to defend the Christianity in Poland in the wake of the Islamic invasion on Europe. The entire march, according to different sources, gathers from 70,000 to 150,000 participants." The reason? To cause professed Christians to rise up and unite with the state to form the IMAGE OF THE BEAST. The time is coming soon when 'Christians' will unite and form this image (image of the Papacy - uniting of church and state) to 'fight off any extremist threat against Christianity'. And the whole world will be forced to give their allegiance to this image, by America, the earth beast. Sounds good? No, as Revelation 13 confirms, this 'uprising of Christians' and the uniting of church and state will end up in the enforcement of the mark of the beast. And Satan will gather the whole world under his banner. Yet God will keep a remnant who 'keep the commandments of God and the faith of Jesus Christ' (Revelation 14:12). There is a call for justice in the world today-- justice for the oppressed and disenfranchised. Pope Francis has positioned himself as the champion of the poor who has been oppressed by the evils of the world's economic systems, he claims. Louis Farrakhan of the Nation of Islam is crying out and leading the march for justice and equity for the black, brown, and native peoples of the world. The LGBT lobby continues to fight for the rights of those whose sexual orientation differs from the Creator's pattern. 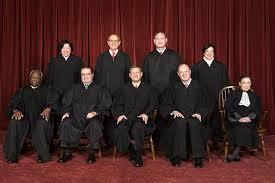 The U.S. Supreme court is established to administer justice. But who can give justice? Can any of these individuals provide justice to those who need it most? Can they make things right? The ancient Hebrew seer laments:"In transgressing and lying against the Lord, and departing away from our God, speaking oppression and revolt, conceiving and uttering from the heart words of falsehood. And judgment is turned away backward, and justice standeth afar off: for truth is fallen in the street, and equity cannot enter. Yea, truth faileth; and he that departeth from evil maketh himself a prey: and the Lord saw it, and it displeased him that there was no judgment" (Isaiah 59:13-15). Learn of the only one who can and will give justice to all. 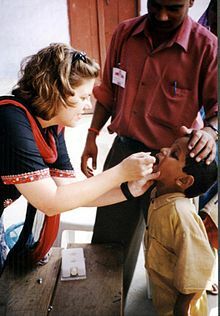 The Polio Global Eradication Initiative (PGEI), founded in 1988 by the World Health Organization, Rotary International, UNICEF, and the U.S. Centers for Disease Control and Prevention, holds up India as a prime example of its success at eradicating polio, stating on its website (Jan. 11 2012) that "India has made unprecedented progress against polio in the last two years and on 13 January, 2012, India will reach a major milestone -- a 12-month period without any case of polio being recorded."